News of breast cancer sent shock waves through our family last week, when a family member was diagnosed. Every year, thousands of people are affected by breast cancer, battling with chemotherapy, surgery, and loss of life to fight this terrible disease. 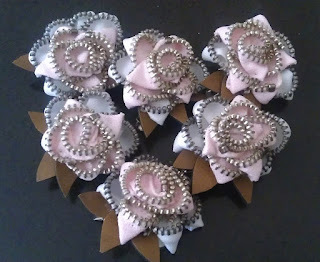 In every effort to help in this situation the best way I know how, I have sourced unwanted and second-hand pink zippers, to create some pink zipper flower brooches, to raise money for breast cancer research and awareness. 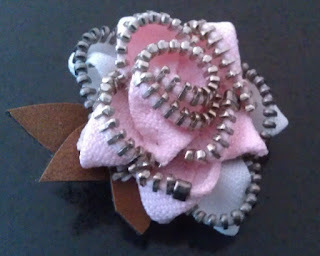 Readers, if you would like to purchase a pink zipper flower brooch/hair clip (2 in 1) they are $14 incl. postage (national and international), and I will be donating all profits to the National Breast Cancer Foundation; the leading community-funded organisation in Australia raising money for research into the prevention, detection and treatment of breast cancer. They'd make a great last minute Valentines gift! 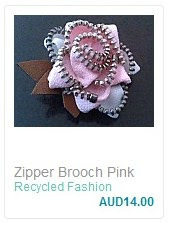 Click on the link below where you can buy a brooch online. 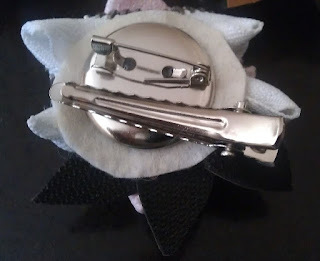 Additionally, for all op shoppers reading this, if you happen to find second-hand pink zippers (preferably with metal teeth) on your thrifty journeys, and would like to send them my way, that would be really great. I'm holding a market stall at Southside Market in St Kilda at the end of April where I hope to sell more. Let us all hope we can fight this terrible disease, that affects so many people all over the world, every single day. PS, I bought the shoes! What can I say - tip top idea from my tip top niece! So sorry to read the sad news. 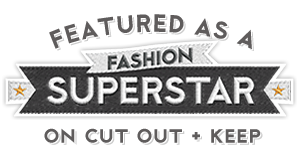 Breast cancer research is so important so I think you have put your creativity into something fabulous beautiful and special. Good luck with your sales. 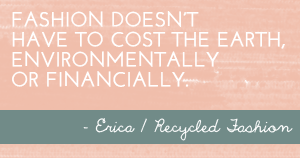 Sorry to hear that, Erica. I pray that your family will go through this trial with strength and love. This is an amazing idea. I'm sorry to hear that someone in your family is suffering.